TAIPEI (Scrap Register): Prices for Taiwanese containerized HMS # 1&2 80:20 imports continued to fall to $187 a ton during the week ended October 07, as per the latest figures from The Steel Index. Bids in the Taiwanese containerized market for HMS #1&2 80:20 imports fall further during the week with domestic demand sluggish. The index closed $7 a ton lower weak-on-week to $187 a ton, its lowest level since March 2016. 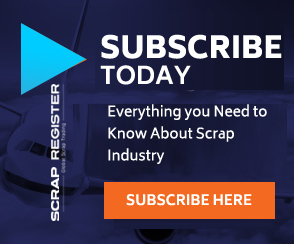 Domestically, mills slashed offers for finished long products and opted to procure scrap locally with pricing relatively lower than offers in the seaborne market. With the current price downtrend, overseas suppliers continue to face headwinds in securing orders, a situation that could possibly change when the Chinese market returns from the Golden Week holiday.